A dancer’s life can lead a person on many adventures. Meet two Wild Women Dancers who led very different lives. One became a countess and a courtesan. The other (after being tutored by the first) became a nation's darling. In 1837 at the age of 16, Marie eloped with Lieutenant Thomas James. 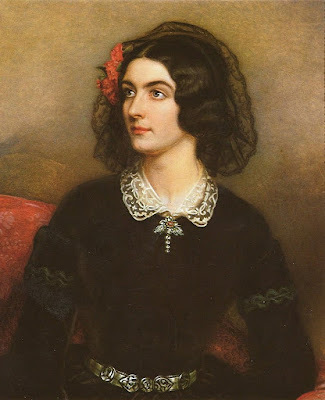 When they divorced in Calcutta five years later, she moved to London and made her debut as "Lola Montez, the Spanish dancer.” When she was recognized as Thomas Jane’s wife, the notoriety hindered Lola’s career. She kept moving and found success in Paris and Warsaw. In 1846, she arrived in Munich and became the mistress of King Ludwig I of Bavaria. Her influence on him and her temperamental manner made her unpopular with the locals. Ludwig made her Countess of Landsfeld in 1847, but the start of the Revolutions of 1848 forced him to abdicate and her to flee Bavaria. She returned to London and quickly married George Heald, a young cavalry officer with a recent inheritance. But the terms of her divorce did not permit remarriage, so they were forced to flee England to escape a bigamy charge. After Heald mysteriously drowned, Lola set off for America. From 1851 to 1853, Lola performed as a dancer and actress in the eastern United States. 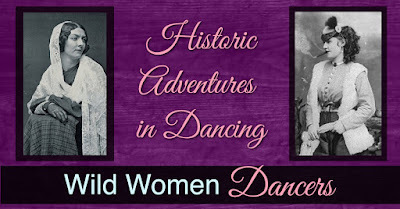 In 1853, she moved to the gold mining community of Grass Valley, California where she performed and also gave dance lessons to a neighbor—six-year-old Lotta Crabtree. In 1855, she departed for a yearlong tour of Australia that was plagued by turmoil—including after reading a bad review, her allegedly attacking the newspaper editor with a whip. Upon her return to the States, she failed to mount a theatrical comeback. Lola spent her last days in rescue work among women. In 1853 in Grass Valley (in the gold mining hills outside San Francisco), Lotta’s family ran a boardinghouse. 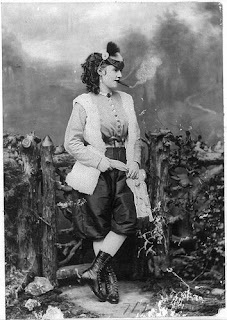 It was here that she met her notorious neighbor, dancer Lola Montez who encouraged Lotta’s talent and enthusiasm for performing. When she was eight, Lotta made her first professional appearance at a tavern and began touring the California and Nevada mining camps as a dancer, singer, and banjo player. Lotta's mother was her manager. She collected Lotta’s earnings in gold and carried it a large leather bag. When the earnings became too heavy, she transferred it to a steamer trunk. When that became too heavy, she invested the earnings in real estate, race horses and bonds and also donated to many charities. 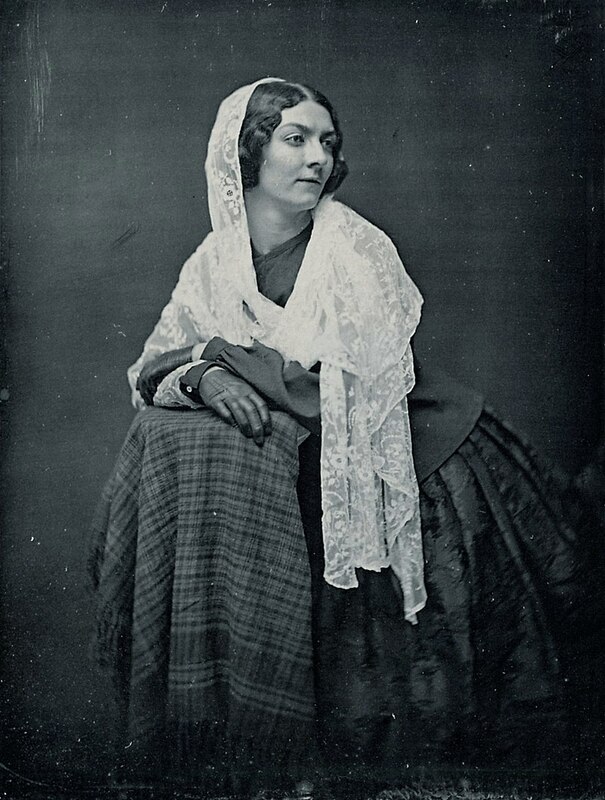 In 1863 Lotta and her mother left the west to tour the East Coast and Lotta began acting in theater plays. Her petite size made her a favorite for portraying children. At age 20 she was a national star. 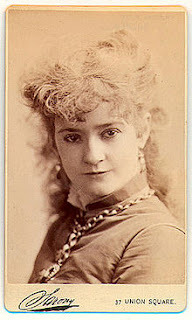 By 1875 and at age 28, she was touring with her own theatrical company. 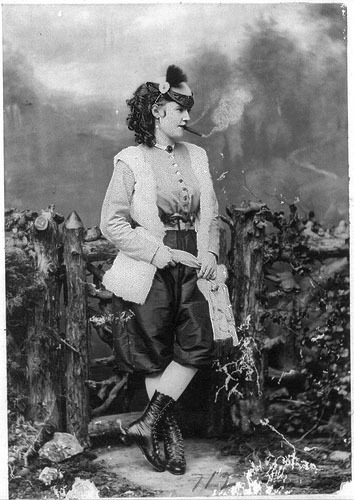 In the 1880s, she was the highest-paid actress in America, earning up to $5,000 per week. Lotta left an estate of $4 million in a charitable trust for veterans, aging actors, and animals. I'm a terrible dancer and an even worse singer and musician. Maybe that's part of the reason why in my story-in-progress, I've made my heroine a talented singer and musician. I get to experience the adventure (via the words in my story) of doing something I'll never do in real life. How about you? Is there a talent you wish you had? Great Post, Jacqui! And what fascinating women, not to mention talented. I took tap dancing classes when I was young. Should have stayed with it since I like dance, but I just didn't have the motivation back then. Hugs! Hi, Jacqui. I never heard of Lotta before. Imagine if she had been around after the movie industry took off. I did read about Lola recently when reading about famous Irish immigrants (I wanted to write a post for St. Patrick's day After reading the sorted details of Lola's life, I went with Nellie Cashman instead LOL). She was a wild one! I think I'd like Lotta better. Interesting post, thanks. Love the images. Fascinating women, Jacqui. History is full of interesting characters we can use to populate our fictional offerings. As to talents, I've always wished I could draw but I'm hopeless at it. In grade 5 I thought I'd found my niche when the teacher introduced us to finger painting. All I had to do was smear paint around with my fist. For once, I thought I'd get an A. Instead the teacher told me I couldn't use green and purple together and I was relegated to a C again! Julie, glad to hear you enjoyed my post! Is it time to re-start the tap lesson? Sounds like it'd be fun. Patti, oh yes - imagine if she'd be in the right time for the movies! Happy to hear you liked my post and the imagines. Alice, I love green and purple together. As always, you deserve an A! Elizabeth, love the "I inherited two left feet"! I've often said to myself "I was born without balance" or "my balance was removed at birth." :) Balance seems to go hand-in-hand with rhythm and coordination. All very important things for a singer, musician, and dancer.